A new study from the AARP Public Policy Institute finds that dementia patients living at home or in assisted living facilities are increasingly being given antipsychotic drugs. This is despite the fact that antipsychotics are not approved to treat dementia. They're intended to treat serious mental illnesses such as schizophrenia and bipolar disorder. In fact, the drugs carry what's known as a black box warning that antipsychotic drug use by older dementia patients can increase the risk of death. The study used data from Medicare Advantage plans from 2012 to 2015. At the beginning of the study, 12.6 percent of dementia patients living at home or in assisted living had prescriptions for antipsychotic drugs. However, by the end of the AARP's study period, 13.4 percent of dementia patients living at home or in assisted living had prescriptions for antipsychotic drugs. This is an increase of more than 6 percent. This runs counter to the trend in nursing homes, where the prescribing of antipsychotic drugs for dementia patients has declined by more than a third. This was largely due to a federal government campaign to reduce the use of the drugs in skilled nursing facilities. At 15.4 percent, there's still a higher rate of antipsychotic use on dementia patients in nursing homes than outside of them. 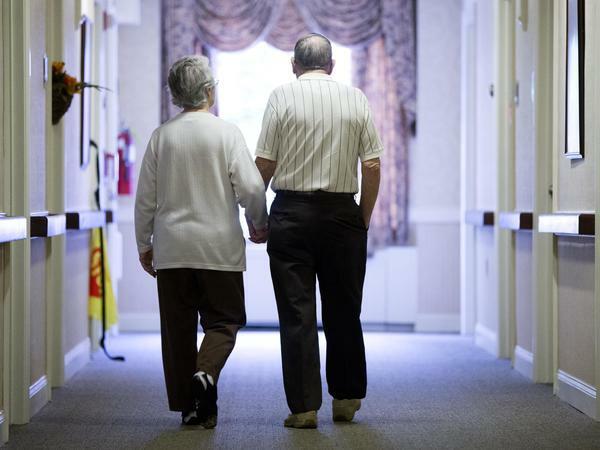 The federal government tracks each nursing home's rate of antipsychotic use and makes that information publicly available on the website Nursing Home Compare. The GAO has recommended that the federal government pay more attention to reducing the use of antipsychotic drugs among all dementia patients, not just those in nursing homes.